Four Lane Highway 83 -- The news story on August 25, 1964 announced that the four lane highway to the Minot Air Force Base was now open. The story said that he opening of the four lane to the base should all but eliminate the traffic congestion between the base and Minot. With section to the base open, residents then had 16.5 mile of four lane highway from the base to just south of Minot. Work was in progress on the 15 mile stretch of highway from south of Minot to the junction on Highway 23. …. It is difficult to imagine Highway 83 as anything other than a four lane highway. 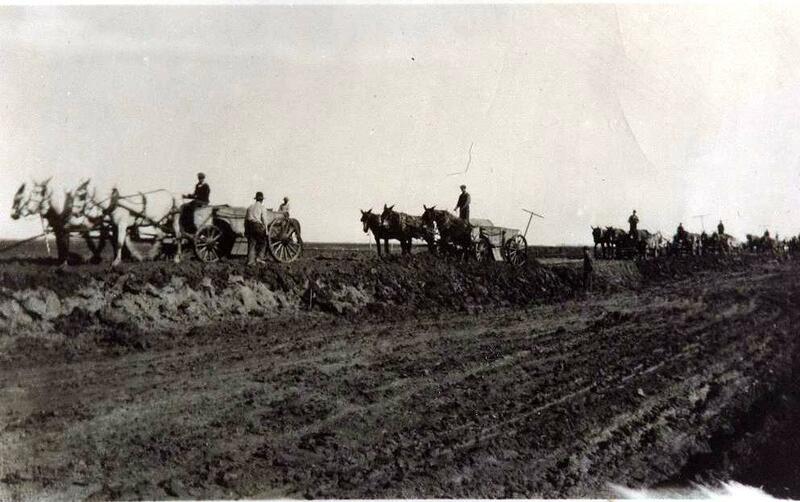 Pictured is the construction of the original two road from Minot to Bismarck.